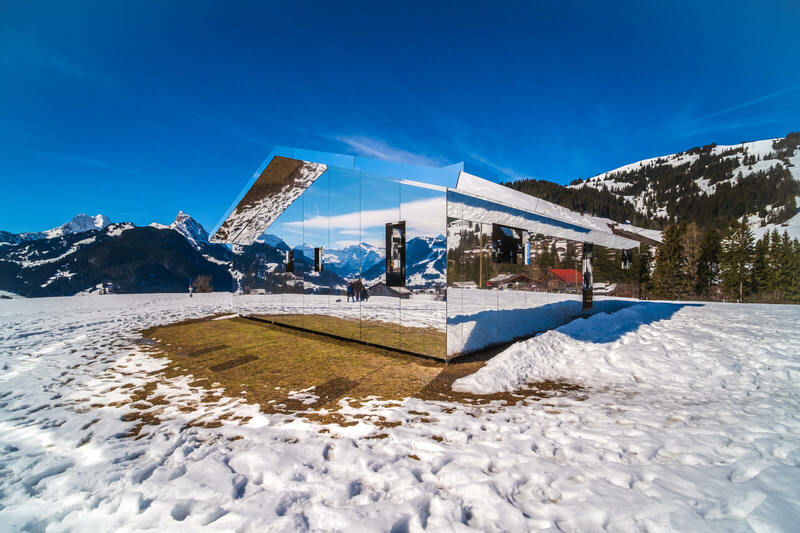 Imagine a house of mirrors amid the Swiss Alps. Multimedia artist Doug Aitken, born in California in 1968, is known for his sculptures, photography, film and architectural interventions. 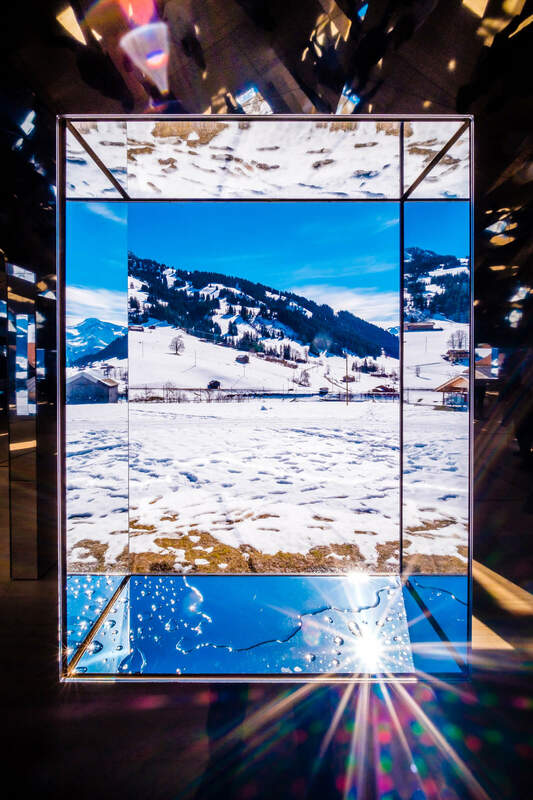 How exciting that Aitken has recently brought his much coveted Mirage project to the Gstaad region in Switzerland. After staging it in the desert of Palm Springs and installing the house inside a historic building in Detroit, the snow covered Swiss mountains were his next destination. 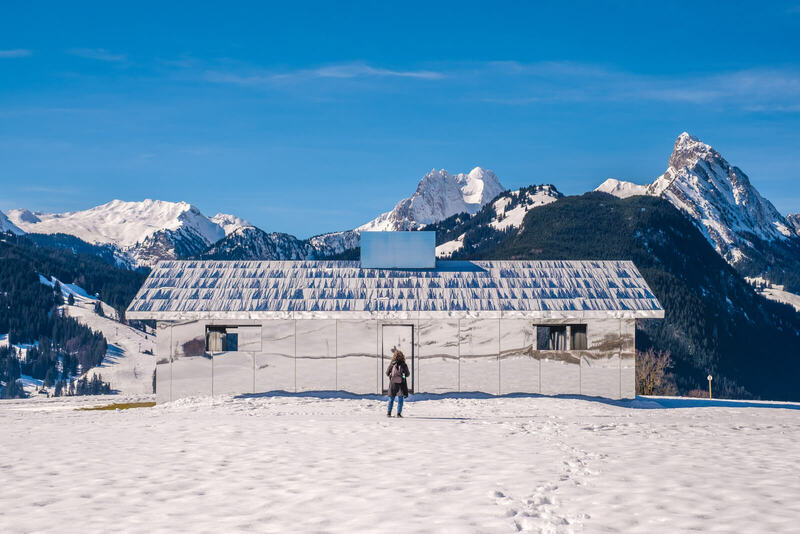 The minimal ranch style house, completely covered in mirrors, acts as a large kaleidoscope. The Mirage reflects both the surrounding landscape as well as the observer, thus challenging our preconceived notions about interior and exterior, subject and object. Unsure how to keep a clear head confronted with all these reflections? All the windows essentially become picture frames showing the beautiful landscape and mountains. Since Mirage will stay for two years, it will definitely be interesting to see how it adapts to the changing seasons. After your visit, I recommend you to either walk back to Schönried or continue in the other direction towards Gstaad (about 50 minutes). In case you decide to walk to Gstaad, you will notice several farms just next to the trail that hawk local cheese and sausages. The Mirage will remain in this location near Gstaad until January 2021. The best way to visit is by taking the train to the Schönried station. From there, it is about a 15-minute walk to the site of the mirror house. As with all Swiss hiking trails, there are abundant signs starting from the train station. Here is a helpful trail map, just in case. My all-time favorite train to and from Gstaad is the GoldenPass MOB Belle Epoque. Entering it is like stepping back in time! 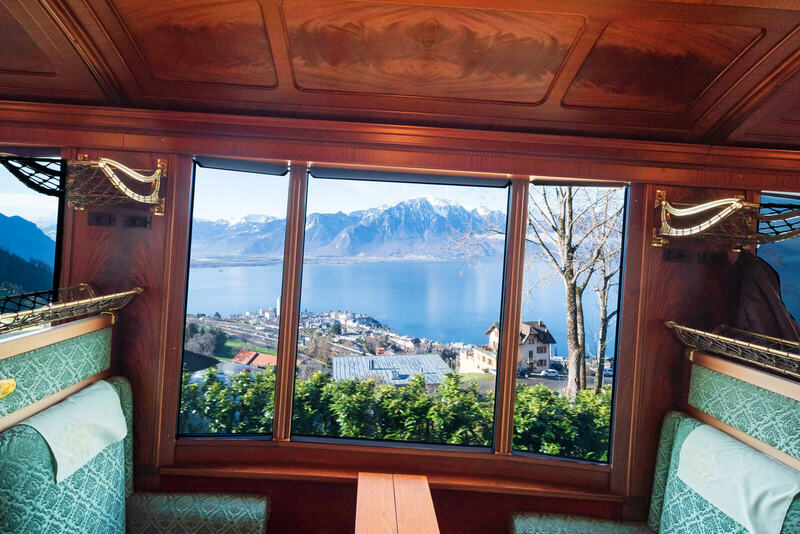 The "Belle Epoque" composition leaves Montreux twice a day at 8:44 AM and 1:44 PM. 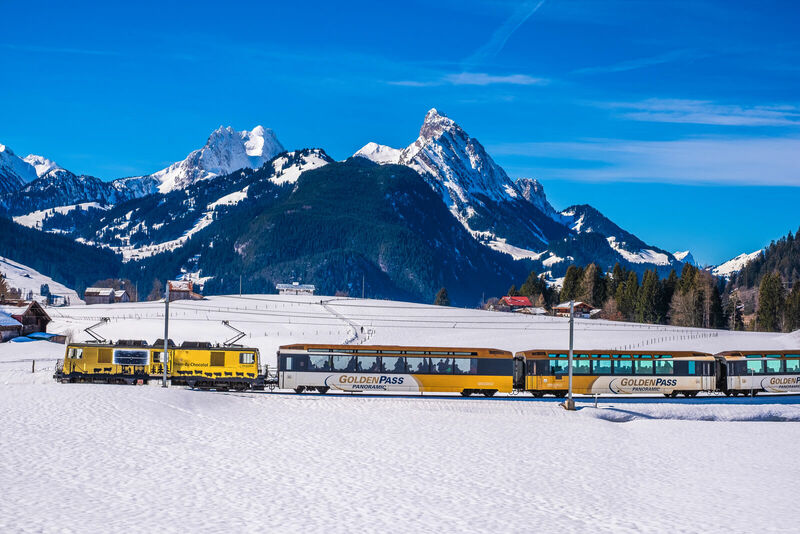 From Zweisimmen, it departs at 11:05 AM and 4:25 PM daily.